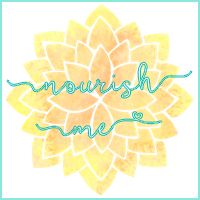 Nourish ME: Massive LUSH haul - Christmas presents, sales picks and little treats! 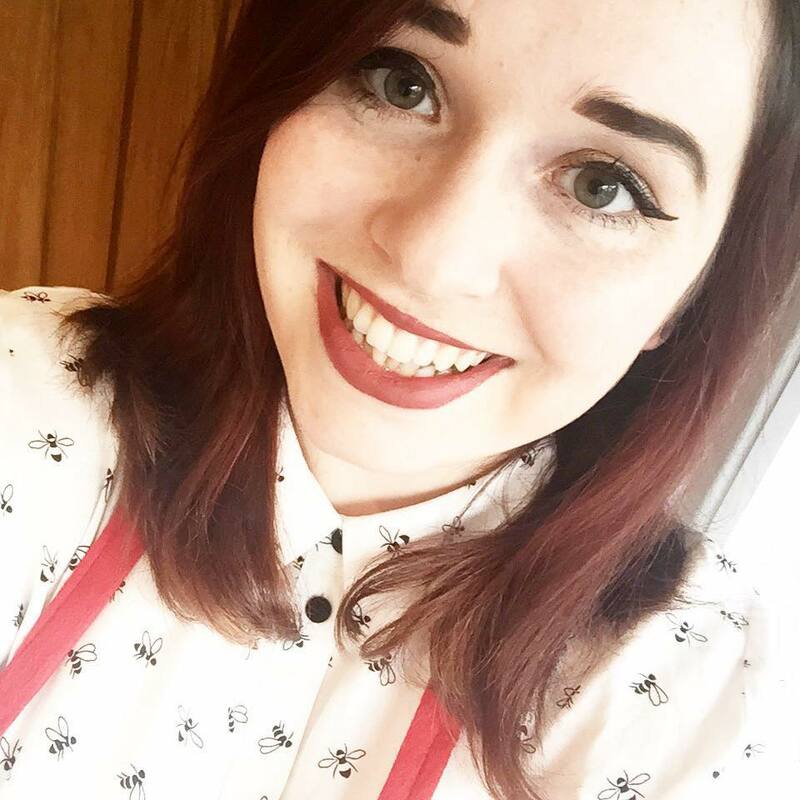 Massive LUSH haul - Christmas presents, sales picks and little treats! 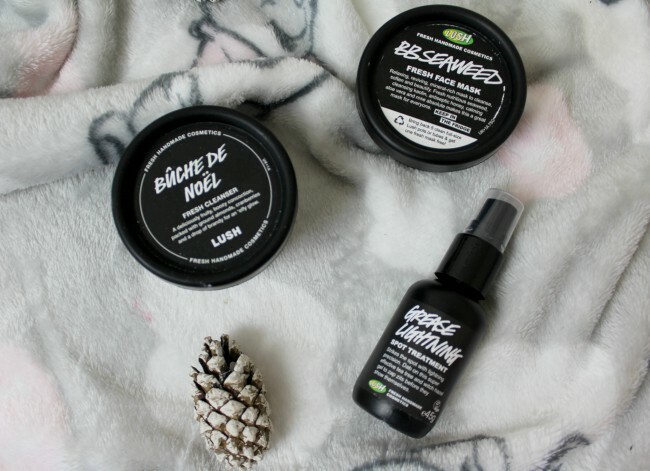 It took me an upsetting amount of time to condense everything I wanted to say into the title for this post, so soz, but I am hyped to share all the goodies I've got from LUSH over the last few weeks. As I'm not doing a 'what I got for Christmas' post, I'm sharing all the bits I was lucky enough to receive a week ago today(! ), as well as my picks from the sales, and a few treats I gathered in the post Christmas slump. I also figured that there was no better way to kick start 2018 on my blog with some of my favourite photos I've ever taken. Happy New Year everyone! 'A girl can never have too many shower gels' - I mean, that must be a saying somewhere right?! Anyway, I'm thoroughly stocked up on them for the foreseeable future and they all smell so damn GOOD. Whilst I'm trying to be more eco-friendly in 2018, and a lot of these come in plastic bottles, they are ones that are completely recyclable, and I opted for a solid naked shower gel when I went shopping for myself. Every little helps and all that. Let's talk standard liquid shower gels first. Snow fairy is one that we all know and love. I've not used it in a few years now, so I'm excited to have my very own little bottle to use. 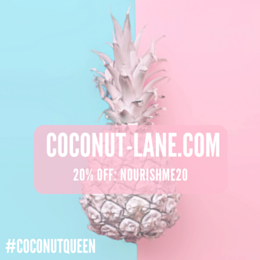 This is always the product that everyone raves about, and with a little bit of glitter to go alongside its sweet scent, it's easy to see why. Next we have Berry Berry Christmas, which is glittery again, has a fruity blueberry scent and is the one that I'm most excited to use. Finally, we have Bubbly, a citrus shower gel that I'm going to need to wake me up on cold January mornings. 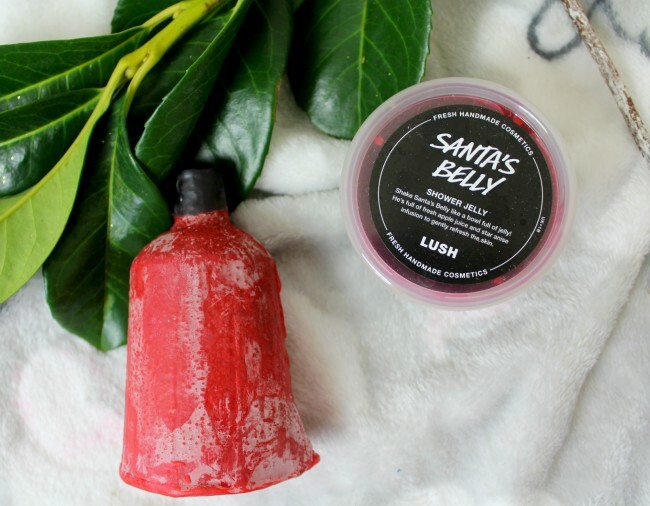 Moving away from the traditional stuff, we have the Santa's belly shower jelly. I got this last year and I absolutely adore the scent of it; it's probably my favourite one that LUSH do. It smells like sweet apples, and has tiny shimmery stars in it. Finally on the shower gel front is the naked version of Santa's Christmas. This has a sweet minty smell and is going to last me so long. I've almost finished using the naked Bubbly shower gel and it's stuck around for a solid two months so far. I'm going to start off with the bubble bars that you can see in the first picture of this post, as I haven't managed to get them photographed separately. I was so happy to see that the Snowman one was back this year. He's hella cute (even with one eye now) and smells a little like marzipan. Alongside him I was given the candy mountain bubble bar as part of a gift set. This has the same scent as snow fairy, and turns your bath water the most beautiful pale pink shade. Dreamy. Christmas bath bombs are basically what I go into LUSH to check out when the Christmas range gets released. I mean, I'm totally gutted that they didn't bring back the apple-y So White one in stores this year, but they did have some fab new releases. I used the Christmas sweater bath bomb a couple of days ago and it smelt like all the Christmas spices you associate with the festive season. It took me back to being a kid and spending time at my grandma's, whilst making my bath a beautiful shade of red. 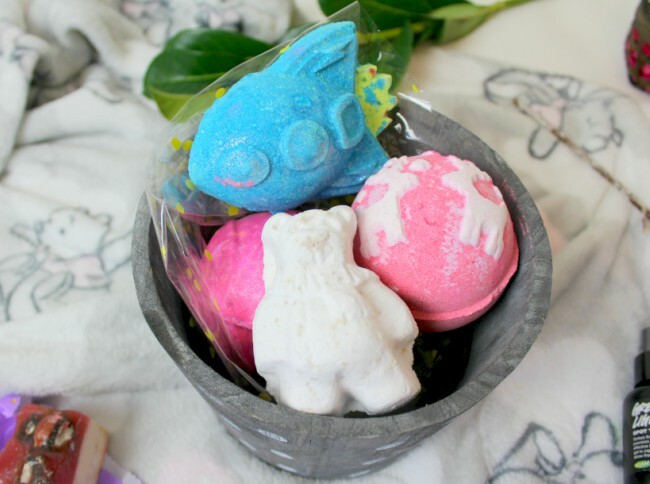 Butterbear is one that I wasn't expecting I'd love, but its sweet vanilla scent has me excited for my next long soak. 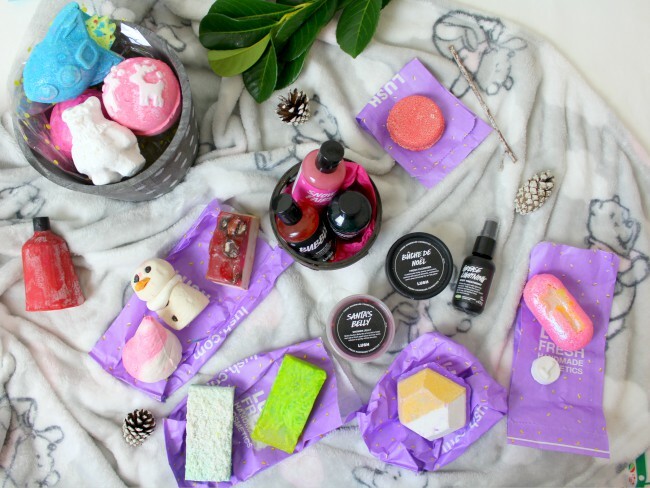 Think Pink is a bath bomb that's available all year round, and smells just like Snow Fairy, so if you didn't get your fix this year (let's not even talk about the Boxing Day sale situation of 2017), then you can still stock up on something. I also picked up Rocket Science and The Experimenter. 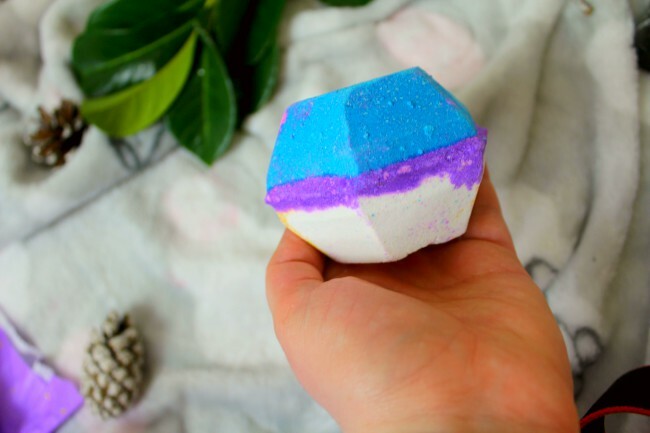 The former was my favourite bath bomb of 2017, whilst The Experimenter is something that I've seen alllll over Instagram and can't wait to try out. Here's where things get a little more eco-friendly. All of the black pots that I picked up are recyclable at LUSH stores, and the shampoo bar comes plastic-bottle free. The dream. 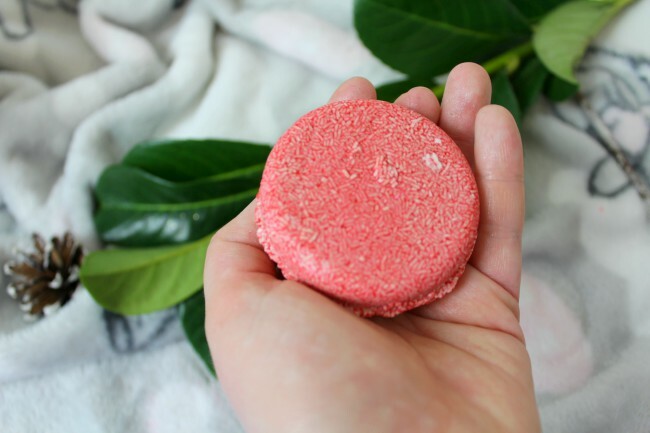 I've tried out a whole bunch of LUSH's naked shampoo bars, but New is one that I come back to time and time again. It has a cinnamon-y scent and is targeted at helping to stimulate hair follicles. As my hair is getting a little thinner at the front, this is something that I really want to boost. Grease Lightning has very quickly become one of my all-time favourite LUSH products in the last couple of days. It's a gel that you pop on spots, and it contains witch hazel, tea tree and aloe vera as well as a bunch of other goodies. It's taken my spots right down, brought the nastiness to the surface quicker than normal, meaning that they're not there for as long and has just been an all-round gem. 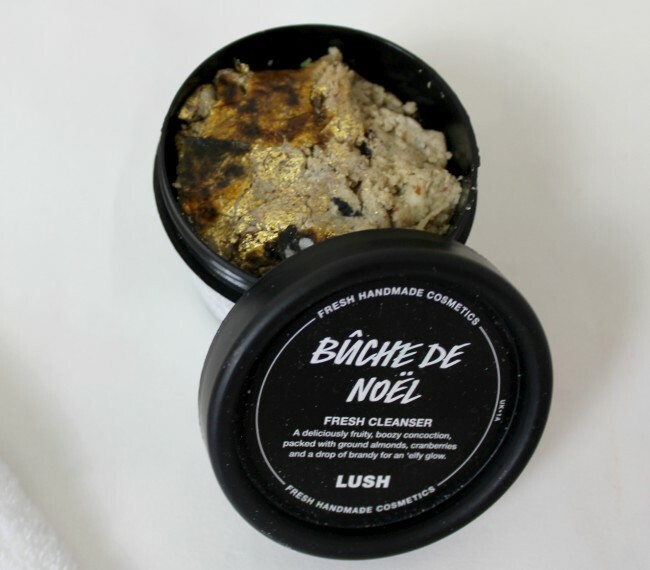 I'm going to chat about the Buche de Noel cleanser and BB Seaweed together, because they're again something that I'm going to be using this year to help get me out of a tough spot (ya see what I did there?). 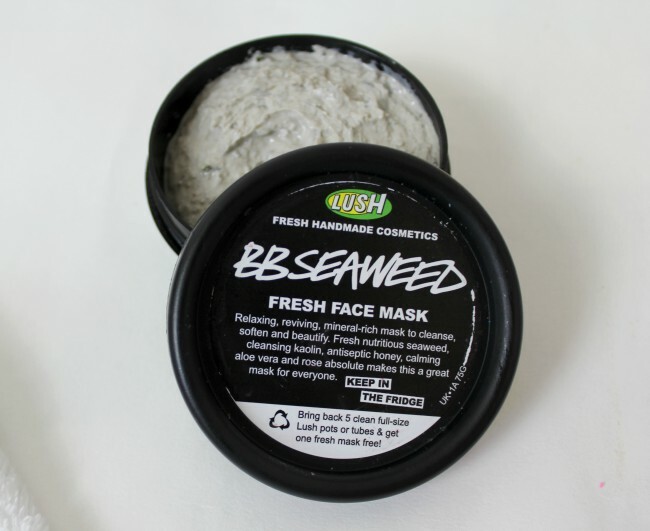 The cleanser has ground almonds in to really get into your pores and dig out dirt, whilst BB Seaweed is my favourite face mask of all time, as it just works perfectly on my combination skin. We're almost at the end, and I'm going to whizz through this bit because ... well it's about handsoap. I'm going to move away from liquid, bottled soap this year towards solid ones to cut down on plastic waste, so I've stocked up ready for the coming year. 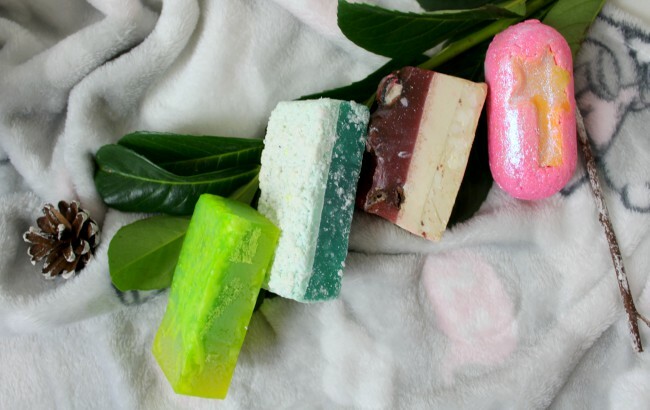 From left to right we have Christmas citrus (very lime-y), baked alaska (another citrus one), snowcake (a little like marzipan) and snow fairy soap (heavenly). It's such a simple change to start using solid soap, and it can make a real difference!